Redmond abandons Microsoft Tag. Where does QR Code go from here? Quick Response codes were once as ubiquitous as Twitter hashtags on advertisements, but the emerging technology now seems like an afterthought. Poor QR codes—they never even stood a chance. Nevertheless, companies are still trying to make QR codes work. They’re not very appealing in ads—especially when they’re inconveniently placed on billboards or in subway stations—but maybe they could succeed in more creative settings. QR codes are easy to make, print, and distribute—perhaps a little too easy. Tons of websites let you make QR codes for free, and companies regularly emblazon useless codes on products or ads that point to their own (not optimized for mobile) websites. It’s enough to make you give up on the whole enterprise altogether. But you can find a few creative uses of QR codes out there right now (aside from this QR-code pizza masterpiece). It’s not surprising that some of the best QR code usage is in an industry known for being a little more adventurous than most: gaming. 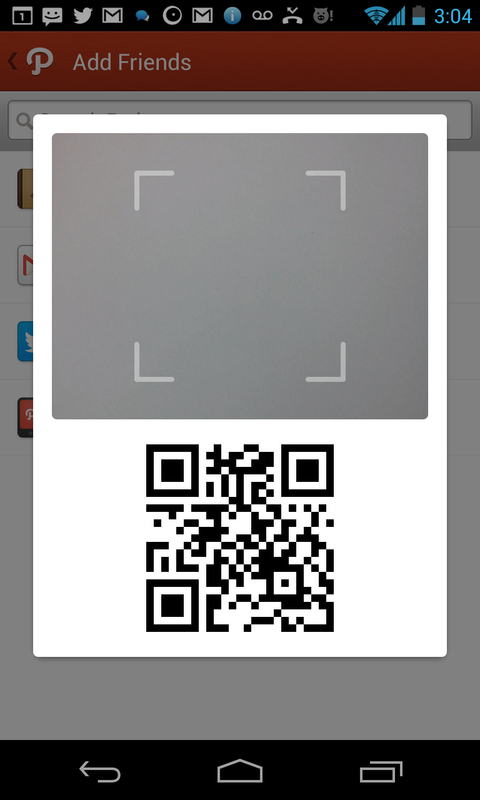 Path generates a QR code so that your real-life friends can scan it and add you. Nintendo’s Animal Crossing: New Leaf takes advantage of the Nintendo 3DS camera by employing QR codes that grant players access to designs and outfits for their in-game characters. You can also create your own designs and generate a QR code to share them with other players. New Leaf players say this feature makes the already addictive game even more so. In Gearbox’s Borderlands and Borderlands 2, QR codes scattered throughout the games unlock Easter eggs when you scan them with your smartphone. Video games aren’t trying to sell you stuff with QR codes. They’re just an added bonus. They don’t pressure you to visit a website, enter information, or buy anything—it’s just part of the gaming experience. We don’t want to go out of our way to scan such codes, so companies that incorporate them into activities we’re already doing have a better chance of success. Path is applying that strategy to social networking. The app recently rolled out QR codes for users to add friends on the network in real life—generate a code, have your friend scan it, and like magic, you are instantly Path friends. The feature is brand-new, however, so the number of people who are actually using the codes to add their friends is unclear. Starbucks placed QR codes on bags of its coffee beans that led to instructional videos. Other codes on bookmarks encouraged voting for favorite flavors. Companies are slowly realizing what consumers want when they scan a QR code—bonus content or the promise of free stuff—but such codes have a ways to go before reaching critical mass in the United States. (In Japan, it’s an entirely different story.) There are no hard statistics indicating how many people regularly use QR codes, though January numbers from eMarketer suggest that many consumers have at least tried them out—39 percent of 18- to 24-year-olds have scanned a QR code in a magazine, and 38 percent have scanned one on a piece of mail. QR-code generator Scanbuy has seen growth every month since launching in 2007, says David Javitch, vice president of product. The company processes 8 million scans a month, as of June. But Javitch says that Scanbuy, which counts Coca-Cola and Starbucks among its clients, has had to push for more-meaningful uses of the technology. 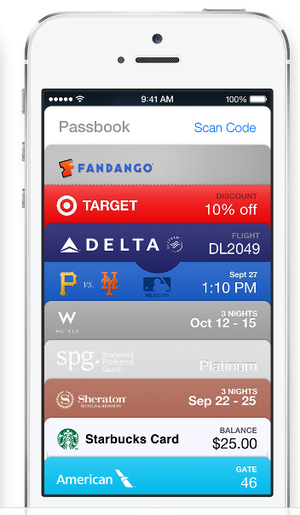 Apple's iOS 7 includes a built-in QR code reader. Another obstacle is the ever-changing smartphone itself. 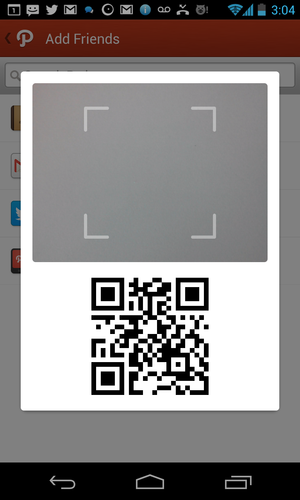 You can download apps that scan QR codes, but few phones come with a native QR-code reader. Apple is building a QR-code reader into the iOS 7 version of Passbook, which could potentially boost the technology’s popularity. By the time smartphone manufacturers get around to making QR-code scanning a priority, however, QR codes might be a thing of the past. May QR codes live on in video games, at least, because my, uh, friend’s Animal Crossing villager could really use some new outfits. This story, "QR codes are still a thing, even if no one uses them" was originally published by TechHive.